NEW PRICE! HEATHROW CUSTOM WATERFRONT ESTATE! This extraordinary home is like no other set upon one of Heathrow’s largest lakes! Large 2-story balcony with iron railing overlooking pool & water. New screen enclosure installed 2017. Imported STONE flooring, impressive gourmet kitchen with granite, sub-zero refrigerator/freezer, sub-zero under-island drawers, custom cabinetry and commercial grade gas appliances. Butler’s pantry with imported marble, a built in wet bar and wine refrigerator. The 2 sided fireplace between the living room and master bedroom also has exquisite imported marble from floor to ceiling! Beautiful circular brick paved driveway with an inviting 2 story entry! CUSTOM QUALITY THROUGHOUT! Many amenities included in this 24/7guard-gated golf community! Wonderful Sawyer Lake Park with large playground including ball fields, basketball courts and a boardwalk to lake. Very close proximity to I-4, 417, shopping, Colonial Town Park with fabulous restaurants and miles of walk & bike trails! This property may be under audio/video surveillance. 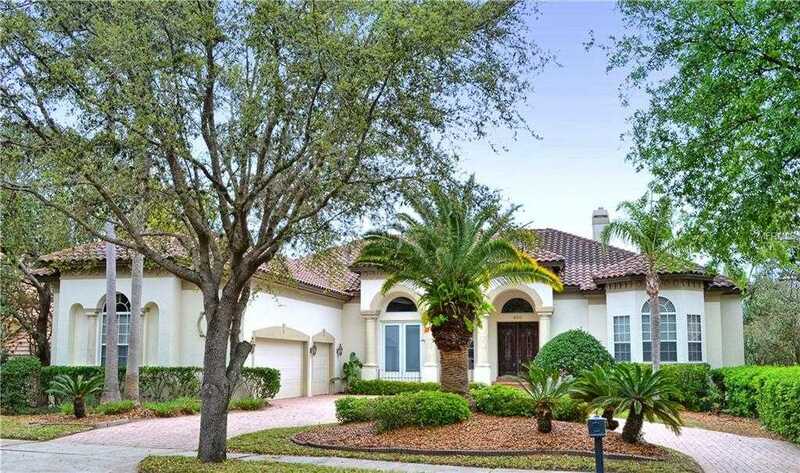 Please, send me more information on this property: MLS# O5757703 – $959,000 – 684 Stonefield Loop, Lake Mary, FL 32746. I would like to schedule a private showing for this property: MLS# O5757703 – $959,000 – 684 Stonefield Loop, Lake Mary, FL 32746.